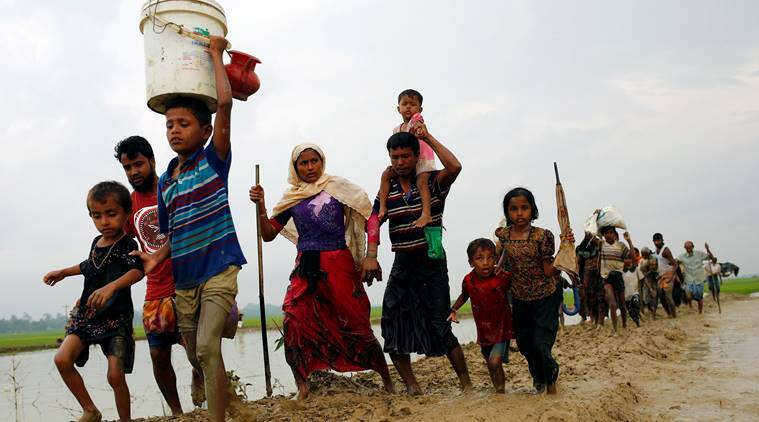 The Western media have rightly focused on two critical aspects of the Rohingya tragedy in Myanmar – the humanitarian crisis it has created and Aung San Suu Kyi’s failure to publicly criticize the Myanmar government’s policy of ethnically cleansing Rakhine state. Left unsaid, however, is the reason why the government is pursuing its policy, and the role of other nations in creating an atmosphere conducive to the crackdown. In short, it is a tale of greed, money, and power. The roots of the violence in Rakhine State are multifaceted and rooted in British colonial officials’ failure to include the word “Rohingya” in censuses taken of the then-British colony, which was subsequently used as a means of falsely characterizing the Rohingya as illegal immigrants from neighboring regions, with no historical legitimacy in Burma. That is of course not true, but based on the opening the British created, the former military regime and the current democratically-elected government have both denied the Rohingya full citizenship, strictly limiting basic freedoms of movement and suffrage. Suu Kyi finds herself in a precarious position, reemphasizing her support for non-violent political change, while at the same time referring to the Rohingya’s disrespect for the “Rule of Law” as a justification for a strong military presence in Rakhine state. Suu Kyi was quite happy to be portrayed as a human rights icon while she was herself a political prisoner, but since becoming the country’s de facto leader, where the Rohingyas are concerned, she may rightly be referred to as a garden variety politician, beholden to the power behind the throne (the military). The West appears to have been wrong to have placed her on such a human rights pedestal. 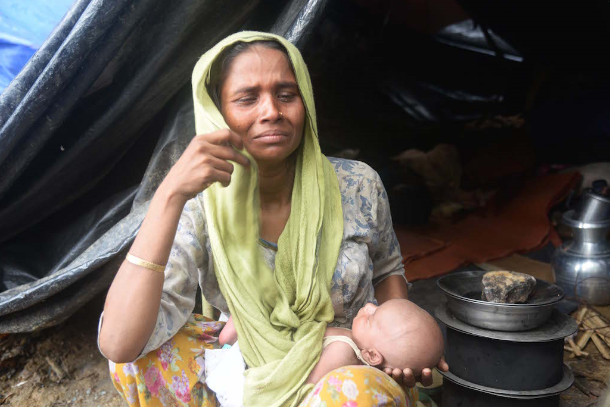 While her silence has certainly contributed to the sad plight of the Rohingyas, it is ultimately Myanmar’s military rulers, who have plundered the great natural resource wealth of the country for decades, that are ultimately to blame for this state of affairs. Having refused to give up their power while allowing a thin veil of ‘democracy’ (with a distinctly small ‘d’) to descend over the country, their ongoing unbridled pursuit of wealth from the sale of the country’s natural resources to countries around the world is the ultimate reason why the brutal assault on the Rohingyas persists. If Rakhine state was devoid of natural resource wealth, and if it were not geostrategically important to the transport of oil and gas to China and beyond, perhaps the government would not care quite so much about the Rohingyas. But the truth is that countries from around the world are involved in the extraction of natural resources from Myanmar more generally, and Rakhine state specifically. For example, in 2013, China completed construction of a natural gas pipeline from Myanmar’s coast that begins and runs through Rakhine state, the result of a 30-year contract agreed to with the country’s military. Such a multi-billion dollar contract will take precedence over other concerns in a kleptocracy such as Myanmar. Saudi Arabia has also been working with the Burmese and Chinese governments to industrialize natural resource production and distribution within Rakhine State. 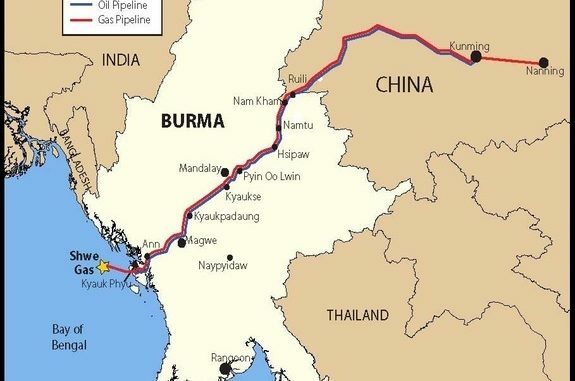 Saudi Arabia and some of its smaller Persian Gulf neighbors became deeply involved in Myanmar’s oil industry in 2011, when Riyadh and Beijing signed a Memorandum of Understanding in which China pledged to provide 200,000 barrels of crude oil per day through the Sino-Burma oil pipeline. The United Arab Emirates has also built roads and hotels to supplement Rakhine State’s booming oil industry. And in 2014, Qatar began transporting methane to China via Myanmar, further emphasizing the important role of Burma in connecting China and the Arab Gulf states. It would be difficult to imagine, given the monetary stakes involved, that the military in Myanmar will ever give up power, or allow human rights to supersede their ability to continue to rule the country with an iron fist. For that reason, the government is unlikely to reverse its position on the Rohingya in the future — with or without Suu Kyi at the helm. It is clear that Suu Kyi has made her deal with the devil in order to remain in her position, but much of the world must be asking if the price of doing so it simply too high. Having embarked on this path, it would seem that the military in Myanmar will not rest until the Rohingya have been scrubbed from Rakhine state. *Daniel Wagner is founder of Country Risk Solutions, managing director of Risk Cooperative, and author of the new book “Virtual Terror”. This article was first published in the South China Morning Post.